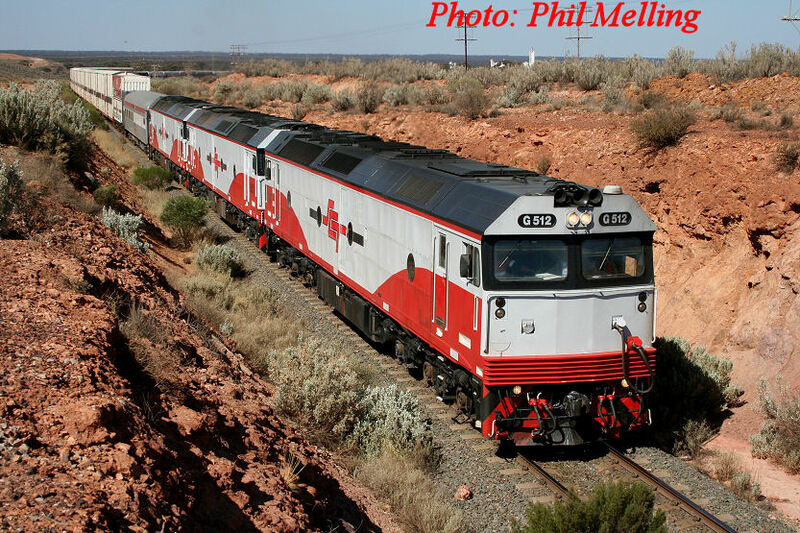 2008 proved to be an interesting year on the Western Australian railscene. 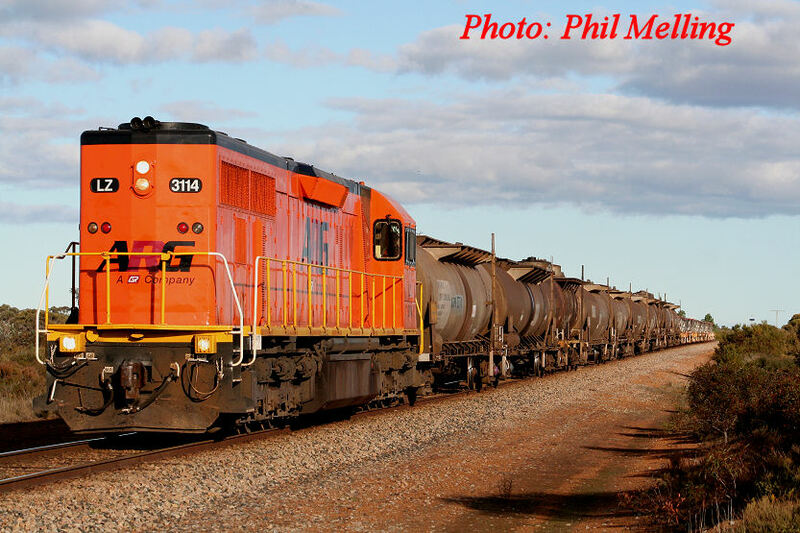 Below are a few photos taken during the year that feature train operations that show some of the various workings. EL55/EL56 haul an eastbound QR National train through Millendon on 26 February 2008. 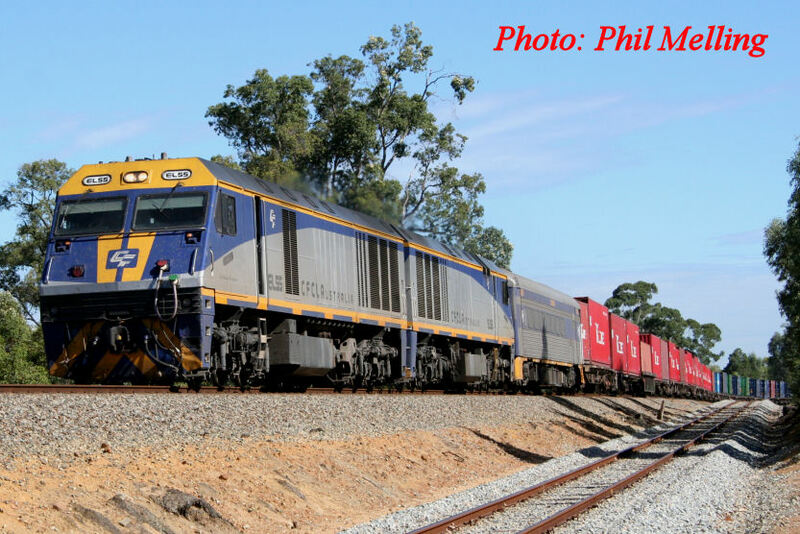 Q4003/ Q4012/ Q4019 on 3414 empty iron ore heads through Widgemooltha towards Koolyanobbing on 8 July 2008. LZ 3119/ 42211 (the latter locomotive still in its original NSW colours) on 4478 Nickel to Kalgoorlie, heading through Menzies on 16 January 2008. The SCT G class were introduced in 2007 onto the SCT trains and here we see G512/G521/G535 on 5MP9 just east of Kalgoorlie on 12 January 2008. By the end of 2008 the SCT G class were no longer on these trains replaced by the new SCT locomotives. 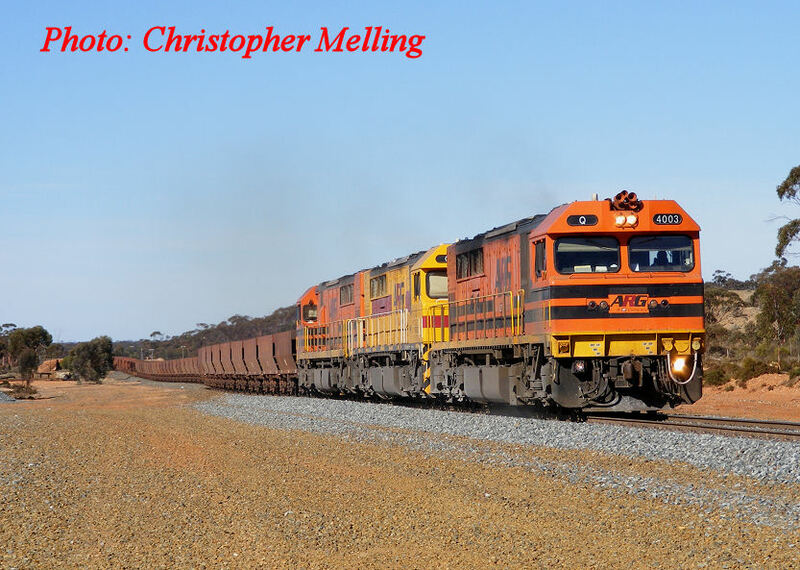 LZ3114 & 2442 freight heads to Kalgoorlie on 14 July 2008, the train is seen near Fleming, north of Esperance. 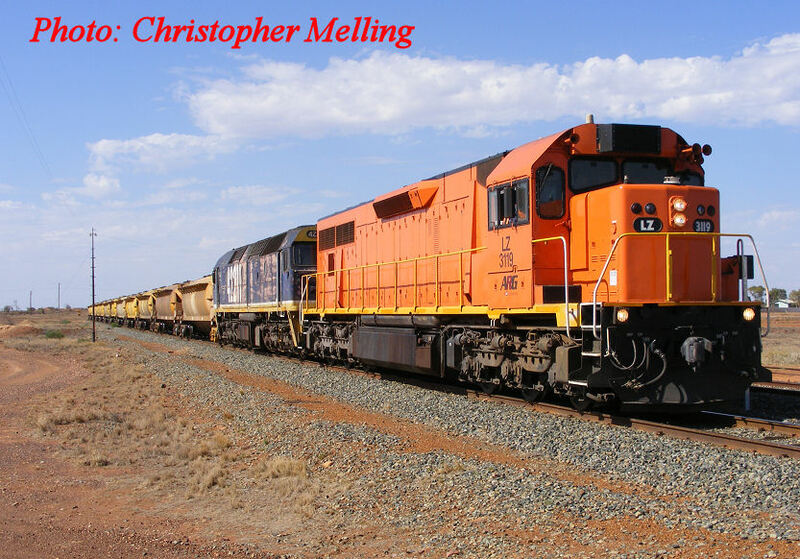 A former Queensland Rail loco number 2117 now DD2358 is seen on a mineral sands train at Narngulu on 13 October 2008. 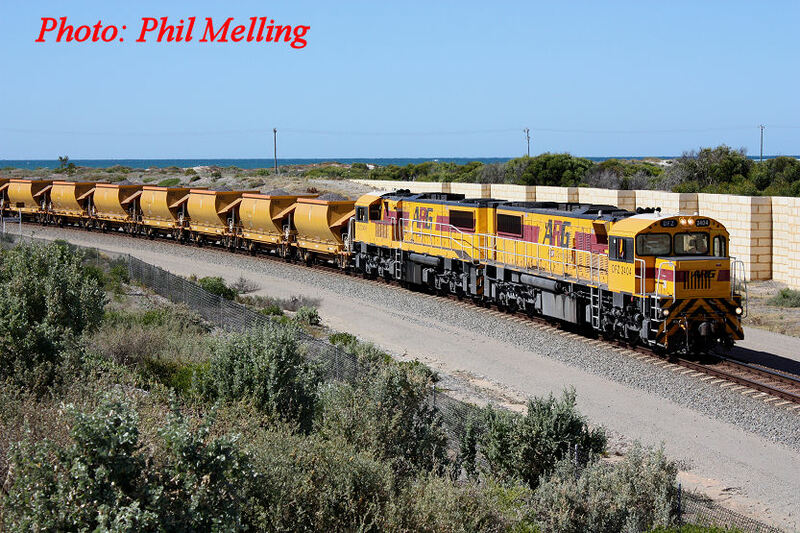 The changing scene around Geraldton with DFZ2404/ DFZ2406 on a loaded iron ore train into Geraldton Port on 6 December 2008. 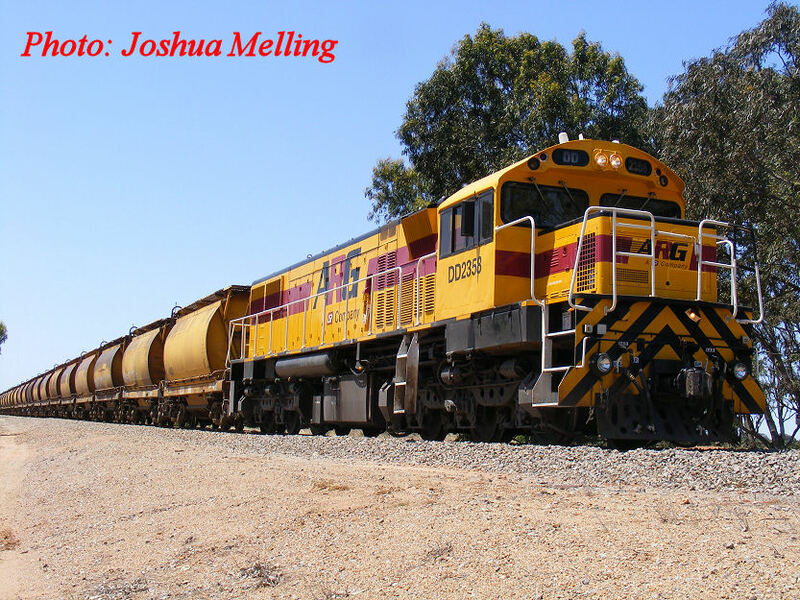 The DFZ locos are ex Queensland Rail 2370/ 2373.